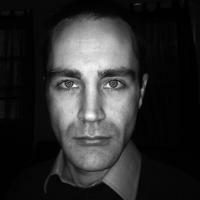 Nathan Shields is a skilled film and television editor. Since he began cutting fifteen years ago, Nathan has edited over 35 hours of programming over a wide range of genres, including dramatic shorts, reality shows, and documentary features and series. In 2014, Nathan was nominated for a Canadian Screen Award and his projects have won many awards, including a Gracie, a Chris, a Golden Sheaf, and a Silver Remi. Nathan’s work has been seen all over the world on such channels as History, A&E, Al Jazeera, Discovery, Arte/ZDF, NHK, Global, CBC, Citytv, CTV, TVO, VisionTV, HGTV, YLE, and Food Network. Nathan edited Measuring Tape Girl, a short film that screened at the Marché du Film at the Cannes Film Festival and The Polar Sea, an epic ten-hour adventure series that takes us through the fabled Northwest Passage, which was called “essential viewing” by the Toronto Star. Most recently, Nathan worked as an Ultra High Frame-rate Lab Technician for Sony Pictures on Ang Lee’s groundbreaking feature Billy Lynn’s Long Halftime Walk.